Just bought a new family car from Bristol Street Motors Derby. The Sales Manager was fantastic in helping me choose the right car for what I needed. Fantastic service all round! We act as credit brokers and we are not a lender. †Includes £1,573 Deposit Allowance Paid By Manufacturer. *Excess mileage charge of 8p per mile. If you exceed this annual mileage then excess mileage charges will be applied by the finance provider at the end of the agreement should you choose to return the vehicle. Finance subject to status. A guarantee may be required. Terms and conditions apply. Unless otherwise stated, metallic paint at extra cost. Library image for illustration purposes only. We act as credit brokers and we are not a lender. †Includes £1468 Deposit Allowance Paid By Manufacturer. *Excess mileage charge of 8p per mile. If you exceed this annual mileage then excess mileage charges will be applied by the finance provider at the end of the agreement should you choose to return the vehicle. Finance subject to status. A guarantee may be required. Terms and conditions apply. Unless otherwise stated, metallic paint at extra cost. Library image for illustration purposes only. We act as credit brokers and we are not a lender. †Includes £1,348 Deposit Allowance Paid By Manufacturer. *Excess mileage charge of 8p per mile. If you exceed this annual mileage then excess mileage charges will be applied by the finance provider at the end of the agreement should you choose to return the vehicle. Finance subject to status. A guarantee may be required. Terms and conditions apply. Unless otherwise stated, metallic paint at extra cost. Library image for illustration purposes only. We act as credit brokers and we are not a lender. †Includes £1,175 Deposit Allowance Paid By Manufacturer. *Excess mileage charge of 8p per mile. If you exceed this annual mileage then excess mileage charges will be applied by the finance provider at the end of the agreement should you choose to return the vehicle. Finance subject to status. A guarantee may be required. Terms and conditions apply. Unless otherwise stated, metallic paint at extra cost. Library image for illustration purposes only. We act as credit brokers and we are not a lender. †Includes £972 Deposit Allowance Paid By Manufacturer. *Excess mileage charge of 8p per mile. If you exceed this annual mileage then excess mileage charges will be applied by the finance provider at the end of the agreement should you choose to return the vehicle. Finance subject to status. A guarantee may be required. Terms and conditions apply. Unless otherwise stated, metallic paint at extra cost. Library image for illustration purposes only. Initial payment of £972 inc VAT followed by 35 monthly payments of £162 inc VAT . Based on 10,000* miles per annum. We act as credit brokers and we are not a lender. †Includes £846 Deposit Allowance Paid By Manufacturer. *Excess mileage charge of 8p per mile. If you exceed this annual mileage then excess mileage charges will be applied by the finance provider at the end of the agreement should you choose to return the vehicle. Finance subject to status. A guarantee may be required. Terms and conditions apply. Unless otherwise stated, metallic paint at extra cost. Library image for illustration purposes only. We act as credit brokers and we are not a lender. †Includes £1,339 Deposit Allowance Paid By Manufacturer. *Excess mileage charge of 8p per mile. If you exceed this annual mileage then excess mileage charges will be applied by the finance provider at the end of the agreement should you choose to return the vehicle. Finance subject to status. A guarantee may be required. Terms and conditions apply. Unless otherwise stated, metallic paint at extra cost. Library image for illustration purposes only. We act as credit brokers and we are not a lender. †Includes £367 Deposit Allowance Paid By Manufacturer. *Excess mileage charge of 8p per mile. If you exceed this annual mileage then excess mileage charges will be applied by the finance provider at the end of the agreement should you choose to return the vehicle. Finance subject to status. A guarantee may be required. Terms and conditions apply. Unless otherwise stated, metallic paint at extra cost. Library image for illustration purposes only. We act as credit brokers and we are not a lender. †Includes £1,010 Deposit Allowance Paid By Manufacturer. *Excess mileage charge of 8p per mile. If you exceed this annual mileage then excess mileage charges will be applied by the finance provider at the end of the agreement should you choose to return the vehicle. Finance subject to status. A guarantee may be required. Terms and conditions apply. Unless otherwise stated, metallic paint at extra cost. Library image for illustration purposes only. 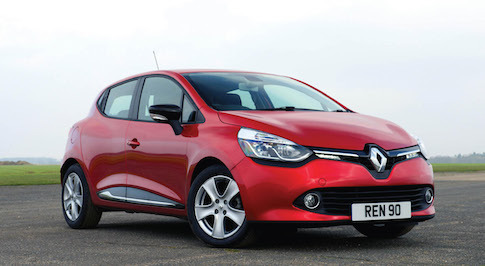 Searching for a brand new Renault Clio for sale? You�re in safe hands with Bristol Street Motors. At our dealerships around the country we have a brilliant range of Renault Clios with a huge variety of specs, trims and engines, so you won�t struggle to find the perfect Clio for you. 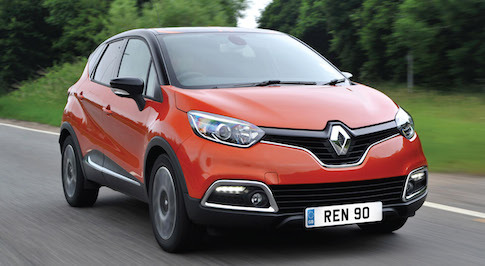 We have Renault dealerships across the UK, meaning it�s never been easier for you to call in for a test drive. 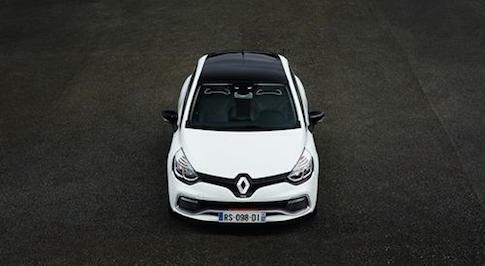 Efficient, smart, cutting edge: the Renault Clio is an iconic supermini and a star of Renault�s production line. With its slick handling, the state of the art Clio is a triumph for the French manufacturer, featuring sporty looks, and an excellent, fuel efficient engine. The Clio is a staple of Renault�s fleet of cars, one that is small, fun and individual, while remaining affordable. With a smooth ride and fiery spirit, the Clio is a supermini to be reckoned with. At Bristol Street Motors we pride ourselves on our customer service. We believe that customer care and knowledgeable, approachable staff are crucial to the car purchasing experience, and we strive to maintain the highest standards in customer service at all of our dealerships around the country. Whether you�re looking to test drive a Renault Clio, find out about the finance options available, or if you just fancy a chat, head to your nearest Bristol Street Motors dealership today.